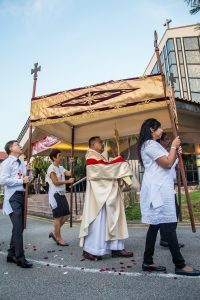 In the Holy Eucharist, under the appearance of bread and wine, Christ is contained, offered and received. Christ instituted the Holy Eucharist in this way: When He took the bread, blessed, broke it and gave it to His apostles, saying, "Take and eat; this is My body;" the entire substance of the bread was changed into His body. When He blessed the wine and gave it to His apostles, saying, "Drink of this; for this is My blood of the new covenant which is being shed for many unto the forgiveness of sins;" the entire substance of the wine was changed into His blood. This change of the entire substance of the bread and wine into the body and blood of Christ is called Transubstantiation. Christ gave His priests the power to change bread and wine into His body and blood when He made the apostles priests at the Last Supper by saying to them: "Do this in remembrance of Me." Priests exercise their power to change bread and wine into the body and blood of Christ by repeating His words at the Consecration of the Mass, "This is My body . . . this is the Cup of My blood." as proof of His love for us. We should fast from all food and drink (excluding water) for at least an hour before receiving Holy Communion. After Holy Communion, we should spend some time adoring Our Lord, thanking Him, renewing our promises of love and of obedience to Him, and asking Him for blessings for ourselves and others. 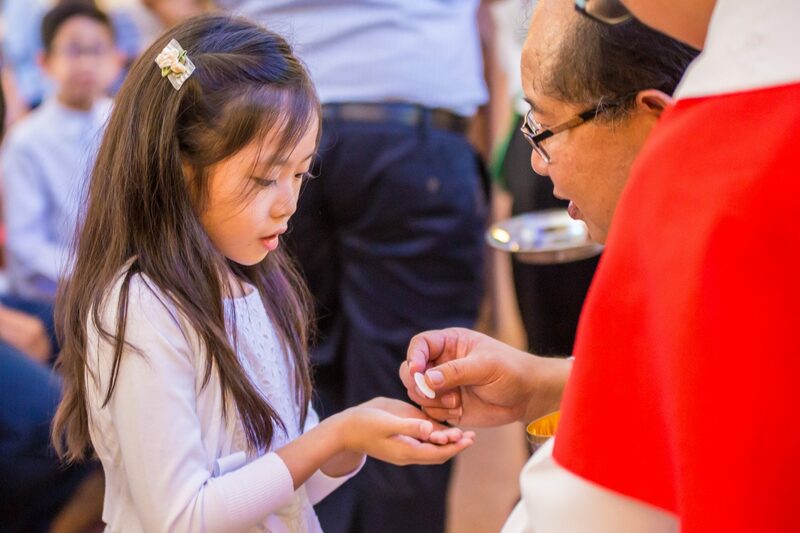 When we receive Holy Communion worthily, we grow closer to our Lord. Envelopes are available at and outside the parish office, do clearly fill in the details on the envelope along with the Mass offering ($10/person/Mass). Afterwards, kindly drop your envelope into the slot at the church parish office slot. Do submit your intention 1 week in advance.